THE HAGUE, WILLEMSTAD - A Curaçao company has laundered 150 million euros via an ING bank account. The bank account was fed with around 150 million euros with card credits for four years. The Dutch financial investigation team FIOD found that ING did not sufficiently know and control the Curaçao customer. ING received the highest fine for a Dutch company for this: 775 million euros. The penalties are the largest ever imposed on a company by the Dutch public prosecution service, which said it found “clients were able to use accounts held with ING for criminal activities for many years, virtually undisturbed” from 2010 to 2016. The bank’s failings were unearthed after the Dutch prosecutor probed wrongdoing at four companies that had accounts at ING, including $55m in bribes paid to the daughter of Uzbekistan’s president by a unit of Russian mobile operator VimpelCom. The other ING clients it investigated included the Curaçao-based women’s underwear company that allegedly laundered €150m, a Suriname one-man building materials group that is accused of laundering €9m, and a fruit and vegetable importation front company for money laundering. 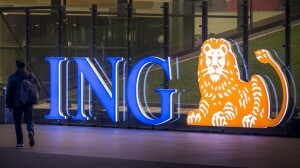 The prosecutor said the breaches of the Dutch anti-money laundering and counter terrorism financing act “took place in such a way that the bank is also accused of culpable money laundering: the bank failed to prevent bank accounts held by ING clients in the Netherlands between 2010 and 2016 from being used to launder hundreds of millions of euros”. The settlement is a blow for the reputation of the largest bank in the Netherlands, which said it had started disciplinary procedures against about 10 current and former employees in the Netherlands, including suspending them and “holdbacks” of untested bonuses.